One of the most prominent female characters of color in the new canon is Lieutenant-turned-Captain-turned-Grand Admiral Rae Slone, who, among other appearances, is a major character in John Jackson Miller’s A New Dawn and Chuck Wendig’s Aftermath trilogy. Readers of these books have gotten to follow her rich career and see turning points in the galaxy in a new light, from her being a protégé of Grand Moff Tarkin to her account of the battle of Endor, and finally her service leading the remnants of the Empire that eventually turned into the First Order. The beauty of Rae Sloane as a character lies not only in this new perspective on the story of the Star Wars films, but also her achievement of such impressive heights as a black woman. Star Wars fans haven’t seen a black character in a leadership role since Anakin cut Mace Windu’s arm off, and even in The Force Awakens and Rogue One, films rightfully hailed for their diverse casting, we have yet to see a woman of color on screen in a major role. 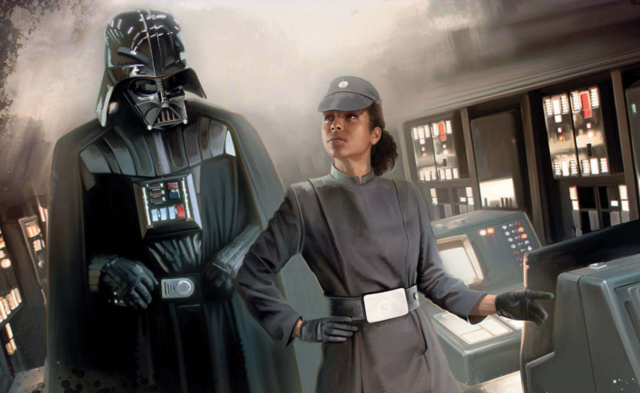 Rae Sloane, already building a reputation as a fan favorite, would be a welcome jumping-off point to bring a character originally born in the canon books to the Star Wars films. Another character who has quickly built a name for herself in the Star Wars canon is Doctor Chelli Aphra, who first appeared in Kieron Gillen’s Darth Vader Marvel comic series, but has since been given a starring role in her own eponymous comic. Doctor Aphra, whose appearance reflects what would, on Earth, be a person of Asian descent, entices readers to root for her success even while she aids a Sith Lord in his reign of terror against the Rebellion and lies and steals her way to an enormous profit. Aphra’s moral ambiguity is nothing new in the Star Wars canon, as Han Solo, Lando Calrissian, and others proved decades ago that lovable scoundrels can easily become popular with fans. The Star Wars films are begging for another scoundrel to capture fans’ imaginations and make us wonder just what makes characters good or bad. 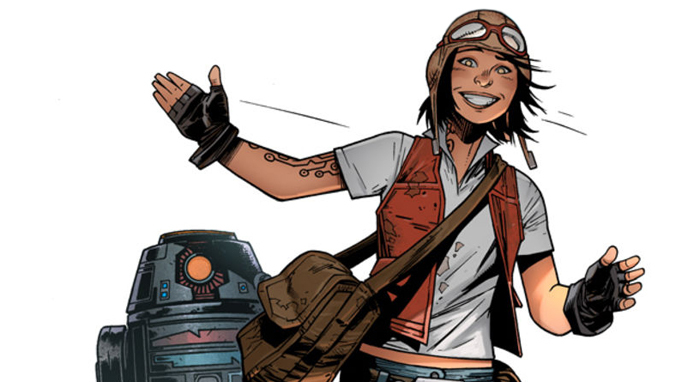 And adding Doctor Aphra to a Star Wars film would show millions more fans that they have just as important a place in the galaxy as their friends who look like Luke and Leia. Speaking of comic characters, it’s hard to imagine any character, on the page or on screen, making a more dramatic entrance than Sana Starros, who introduces herself to readers of Marvel’s Star Wars series as Han Solo’s estranged wife. Though it’s eventually revealed that she is a former criminal partner of Han’s who got stiffed on her cut, Sana joins our favorite ragtag revolutionaries, lending advice and real-world experience to Leia and Luke’s idealism (and always helps knock Han down a peg or two). She’s even a former lover of Doctor Aphra, making her even more unique—an LGBTQ character has never been featured in any Star Wars film, let alone a black LGBTQ woman. We’ve already seen a movie about the early days of the Rebellion’s fight against the Empire; learning Sana’s own origins and watching her and Doctor Aphra lead a life of crime in the years leading up the Battle of Yavin seems like a story that would write itself. Sana is just another example of a woman of color ready-made for a big screen debut. Finally, perhaps the best known of the female characters we’ve chosen to highlight is Ahsoka Tano, Anakin Skywalker’s former Padawan and a hero of the Rebellion. Compared to Rae Sloane, Doctor Aphra, and Sana Starros, Ahsoka has literally been given more visibility, as she’s appeared in both The Clone Wars and Star Wars Rebels cartoons, and outside of animation, even more time has been devoted to her character arc in E.K. Johnston’s Ahsoka novel. Ahsoka is significant to Star Wars for almost countless reasons: She’s the first—and so far, only—female Jedi to be followed closely throughout notable character growth; she’s the only Force user we know of who left the Order and didn’t turn to the dark side; and she was one of the founding members of the Rebel Alliance, as well as one of its longest-serving informants. More than that, she’s a female nonhuman whom Star Wars has allowed to be strong yet vulnerable, trusting yet clever, and loyal yet independent, traits that traditionally only existed simultaneously in male characters such as Yoda and Obi-Wan Kenobi. By developing Ahsoka into a fully three-dimensional character, the franchise has created a heroine who often feels more real than the humans who surround her, and who has paved the way for other female-identifying nonhumans such as Hera Syndulla of Rebels. Although much of Ahsoka’s history has been covered in canon, there are many stories yet untold, including her involvement in the Siege of Mandalore, a plot arc planned for The Clone Wars before it was canceled, and her role in the earliest days of the Rebellion. Star Wars has already devoted four movies to the final, triumphant years of the Rebellion; returning to its origins, and telling that story through Ahsoka’s eyes, is ripe with big-screen potential. The four women we’ve highlighted here are popular characters with untold stories that would easily translate to film. But for many fans, they also represent something more: an opportunity to finally bring femme-identifying actors of color into the films in a meaningful way. 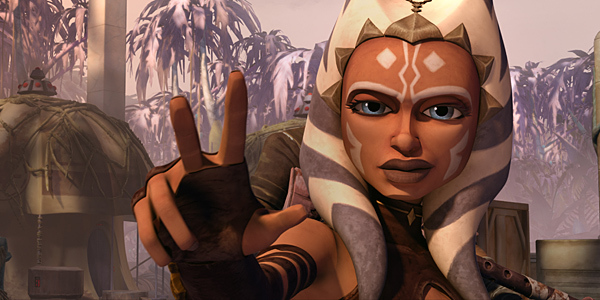 Star Wars fandom has long clamored for a live-action Ahsoka movie, and they’ve already fan-casted the perfect actor with plenty of geek bonafides: Rosario Dawson, a Latina, has expressed enthusiasm at the possibility of playing our favorite Togruta, and if she got her wish, she would be the first female actor of color to lead a Star Wars film. Although Lucasfilm hasn’t even hinted at the prospect of her appearing in any upcoming anthology movies, it’s clear that Star Wars isn’t done with her story. Aside from folding known actors into their storylines, the franchise has always had a knack for bringing underrated or unknown talent into the public eye, dating back to the star-making turns of Carrie Fisher, Mark Hamill, and Harrison Ford in A New Hope, and more recently with Daisy Ridley and John Boyega in The Force Awakens. Lucasfilm could easily do the same by casting new faces to play Rae Sloane, Doctor Aphra, and Sana Starros. With all the goodwill behind Kathleen Kennedy’s leadership, Star Wars can afford to invite the audience to take a gamble on rookie actors playing beloved characters; the response to Ridley and Boyega portraying completely new characters, and their success in doing so, proves it. By casting unfamiliar actors, the studio would not only bring diversity to its own movies, but also give femme-identifying actors of color the big Hollywood break they need to continue working in film. But of course, a movie doesn’t just star its main character. That person needs to be surrounded by supporting and minor characters, and even background extras that fill out a scene. We should be seeing femme-identifying actors of color in all kinds of roles, but that hasn’t been the case, even in Star Wars. It’s essential that the franchise move toward casting that is representative of a diverse population so that top-billed actors of color aren’t just tokens. 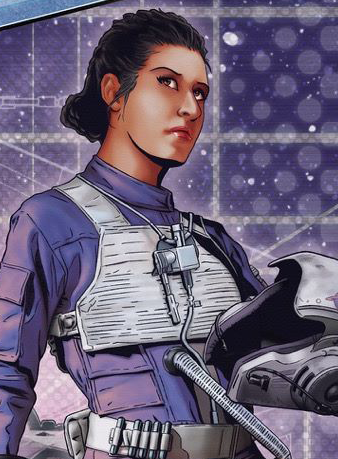 The canon novels provide plenty of inspiration for supporting characters of color, including Greer Sonnel, Jas Emari, Seyn Marana, and Carise Sindian; including these women, or ones like them, in the movies would be another fantastic step toward diversifying Star Wars’ characters and cast. To date, aside from Maz Kanata and now Rose and Paige Tico in the sequel trilogy, we rarely see femme-identifying actors of color, let alone female nonhumans or humans of color, in any capacity in the films. When the franchise does cast a female actor of color, she is often unseen; there was, for example, a lot of disappointment among women of color, especially black women, when it was announced that Lupita Nyong’o would be a CGI character and not actually appear on screen herself. The solution to this particular problem isn’t to cast white women in CGI or other non-human roles. We need femme-identifying actors of color playing all kinds of parts—main and supporting, human and non-human–to ensure that they are well-represented in all sectors of the industry. Fans’ enthusiasm around Rosario Dawson as Ahsoka and Kelly Marie Tran as Rose Tico should be taken as a message: It’s time to bring women of color to the silver screen, and we think the non-film media is a perfect place to draw from. At this point, Star Wars has created a multimedia empire whose non-film media have become as beloved as the films. We see evidence of that every day in our work at Book Wars Pod, from the numerous fan interactions we have on social media, to our tracking of the many, many Star Wars novels that make it onto the bestseller list, to the number of fans we saw pick up figurines of Rose and Paige Tico on Force Friday. As a podcast co-run by a queer, Chinese-American woman, we realize that people of color have been longing to see themselves reflected in the franchise, and when they are, they’re responding with enthusiasm, and, let’s face it, their wallets. If Star Wars truly wants to embrace the multimedia model it has established, it must encourage non-film-to-film crossovers, and a way to fruitfully do that is by bringing women of color to the screen. Characters like the ones we mentioned above are popular with the fanbase, who would embrace Disney’s efforts in this area. After all, they already are. If indeed turns out that Thandie Newton is Rae Sloane, or even Captain Brunson from Rebels, I’m really gonna squeal during the movie so loud I might be expelled. Honestly, I would rather have Sana in the Han Solo movie than Sloane, it makes more sense, given her connection to Han.